Telling my partents about my exaxt itinerary (well, as exact as it was at the time), my mum insisted on my coming home before leaving for the US. So I last-minute arranged a train ticket to Innsbruck, a couch to crash on, and made my mum happy by telling her I was free to go skiing somewhere around Innsbruck on Saturday, 4th of February. My train arrived at 10 pm, and after a short journey through town, I was at my friend Barbara’s where a all-prepared couch was awaiting me. In the morning, my alarm went off at 7 am to make sure I would be ready when my parents arrived. 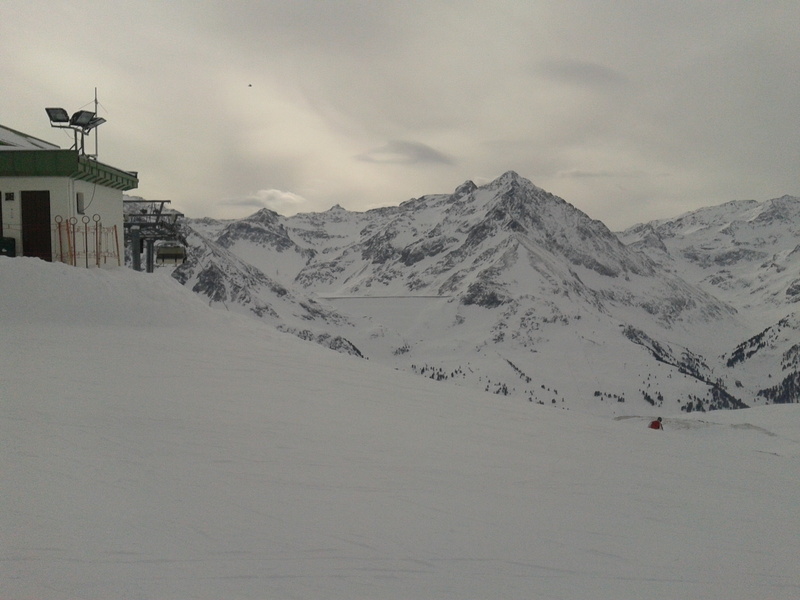 We had decided to go to Kühtai, a medium sized skiing area 25 km southwest of Innsbruck, located 2020 meters above sea level. When we got out of the car, we nearly froze immediately. A really strong wind was blowing, and according to diverse sources, the temperature was – 25° Celsius. 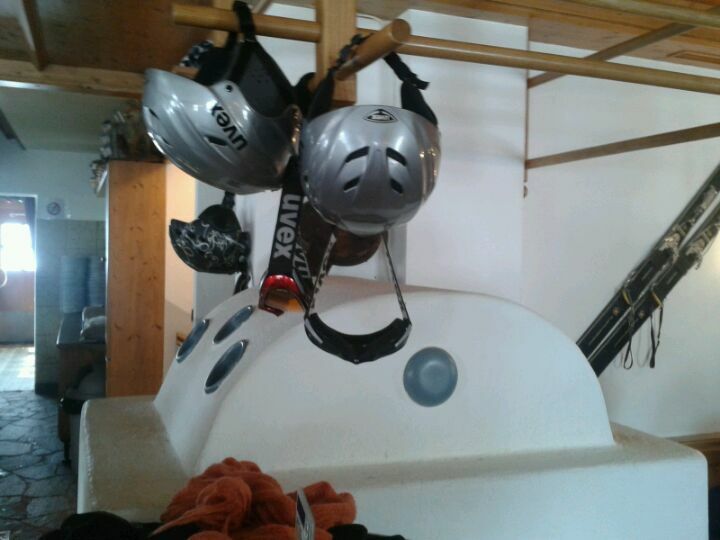 To put on our skiing boots, helmets and so on, we went inside – otherwise it would have been way too cold. 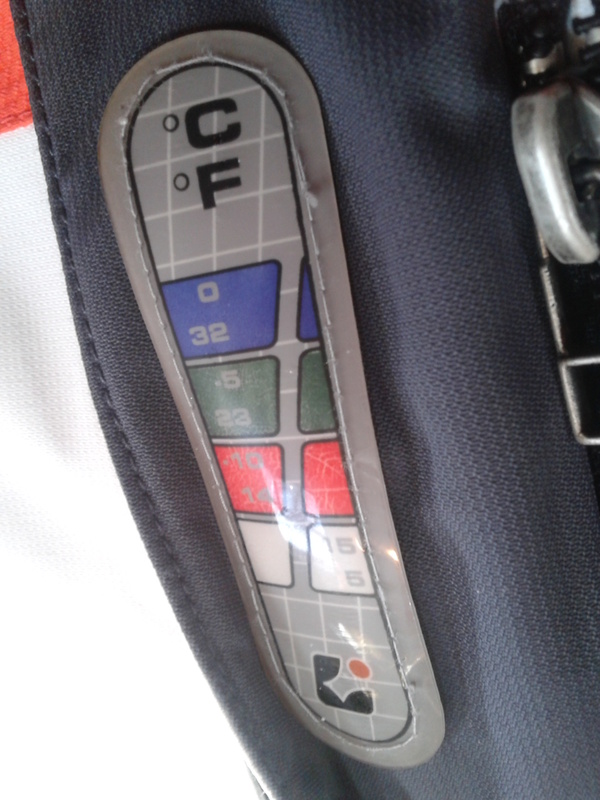 My skiing jacket includes a kind of thermometer, but obviously it is either 10 ° off, or it just couldn’t bear the cold. Due to the wind, the cable car was shut down, so we had to stay at the one chair lift with a bubble that is available at the area. This also restricted us to 2 variations of the same slope, but it was still okay as we had anyways only planned on skiing for half a day, and there was nearly noone around. The snow was powdery, the sun was shining, the air was clear, … and after 2.5 hrs we decided to stop by the one hut along the one slope to have a hot chocolate and some Gulaschsuppe. 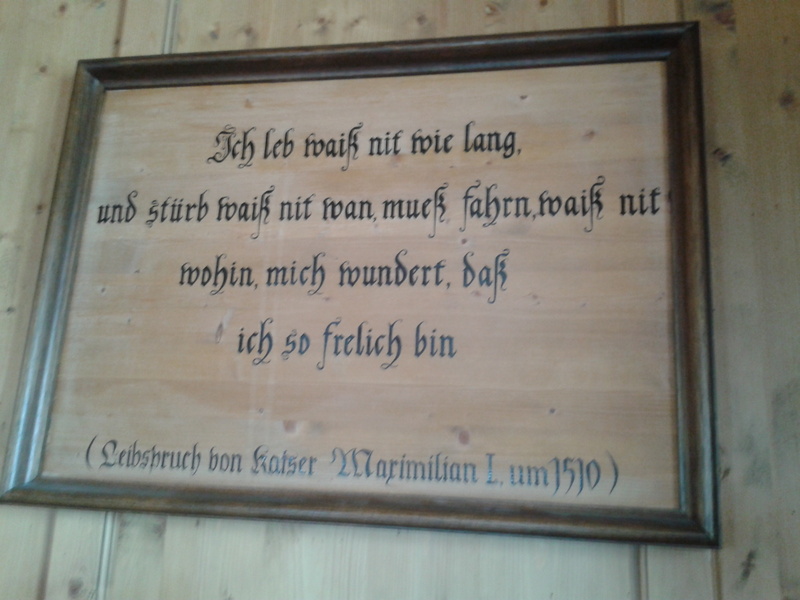 The hut was awesome, they had a tiled stove heating up the whole place to a cosy 20 ° (plus), there was a lot of wood used in the rooms, and decoration was suiting the name: “Zum Kaiser Max”, which shows the connection of emperor Maximilian (I.? II.? I always forget) with the area. This guy loved to go hiking, hunting and fishing, and in Tirol you can do it all. He made Innsbruck his seat of power and also came to my home town once in a while. The areas in the “thermometer” only have strong colour when the inscribed temperature is reached. 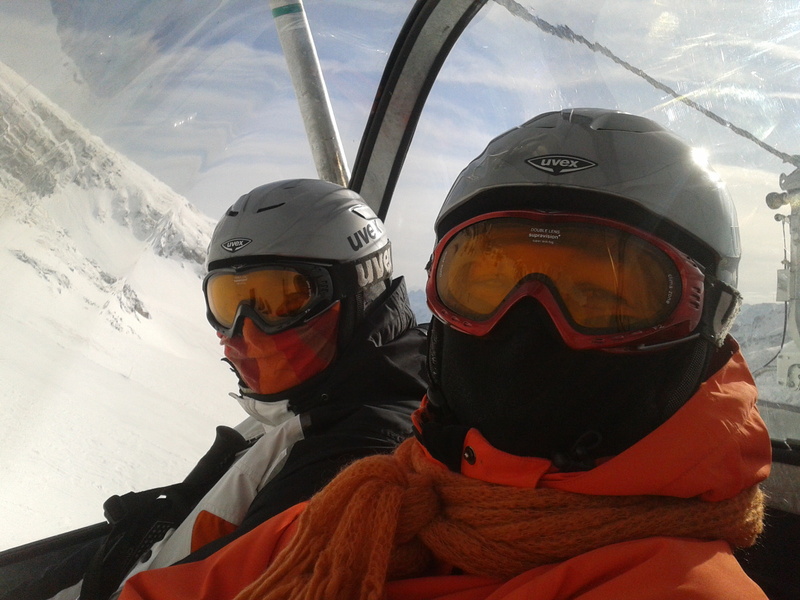 After this relaxing and re-warming break, and some more skiing, we got out of our boots (which took some time especially for my mum) and helmets and took another way – through Ötztal valley instead of Innsbruck – back home. This entry was posted in Family, Outdoors. Bookmark the permalink.